Moms, Dads and Grandparents Meet-up at the State Office Building!!! Coming this Thursday, March 27th at 12:30pm. We’ll be dropping flyers, our handmade cards, personal letters and speaking to our legislators, if available. Feel free to call your legislator and see if they have a minute for you to stop in! We’ll meet on the 1st floor of the State Office Building. Visiting the House of Representatives to tell them to co-sign/co-author the Children’s Privacy Protection Act, HF 2766 or SF 2810. State Office Building is located at 100 Rev. Dr. Martin Luther King Jr. Blvd., St Paul, 55155. House of Representatives General Information Line: 651-296-2146. Previous PostMACC Hits 1800!!! 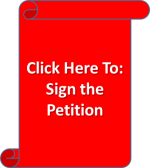 + One Informative VideoNext Post1,900 Minnesotans are Against the Core!